This bow front cabinet has one adjustable glass shelf and is in good original condition. 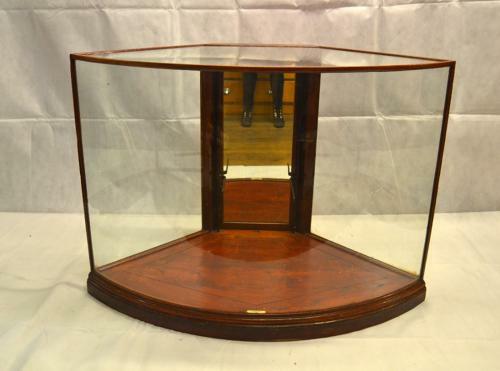 It has a wooden floor and a mirrored back section. Made by Haskins of London.